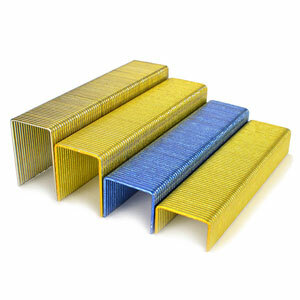 We offer JK784 type staples made by Spotnails (3600 series staples). 1-inch Crown, 16 gauge. Galvanized and Stainless Steel staples available. 10,000 staples per carton.